I feel so sorry that I left this blog for quite a long time. I didn’t even finish the 30-day writing challenge I promise myself to finish. Ini semua bermula sejak saya pindah ke kota baru, di mana saya harus mengurus rumah dan anak saya sendirian tanpa ada yang membantu sama sekali. Alhasil, saya tidak bisa menemukan waktu untuk menulis (atau memang niat saya kurang kuat saja). Saat anak tidur dan rumah sudah selesai diurus, saya lebih sering merasa kelelahan dan akhirnya ikut tidur juga. Things have become better by now. I finally found my regular schedule as my son grows up. That’s why I want to go back here. I still have a lot of drafts I haven’t finished yet 😦 And also many things I want to write that I hope can be useful for ones who read them. Alhamdulillah, in only this month (February 2015), I had the opportunity to visit three new halal restaurants in Japan, due to accompany some of my guests who were on vacation here. 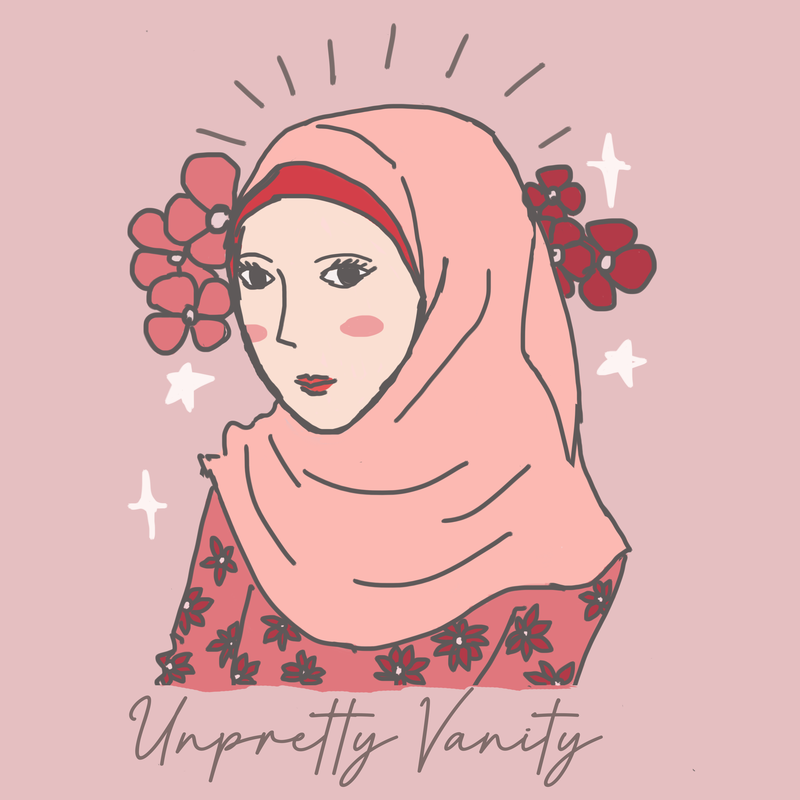 I am really glad that the growth of Islam in Japan shows promising direction, despite some not-so-good news about Islam that are still airing sometimes in national television stations here. 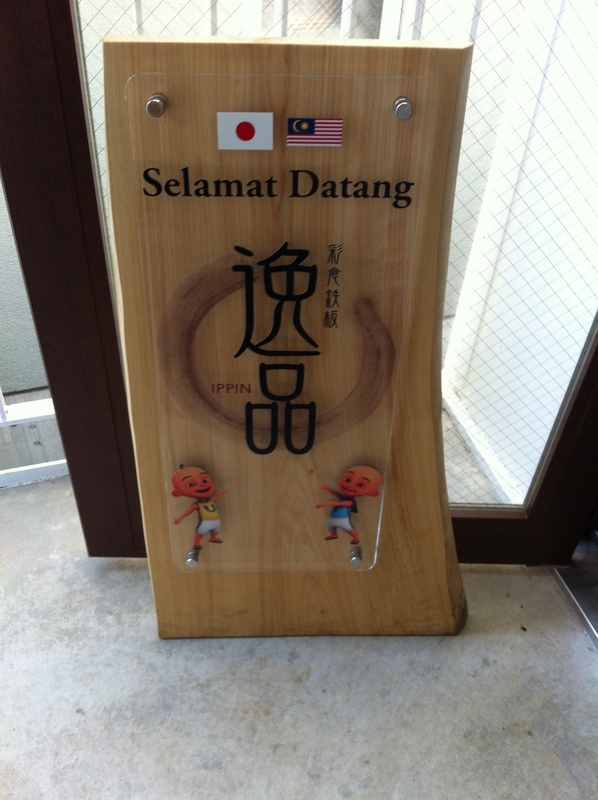 I’m also very grateful that public services in Japan always treat foreigners indiscriminately. 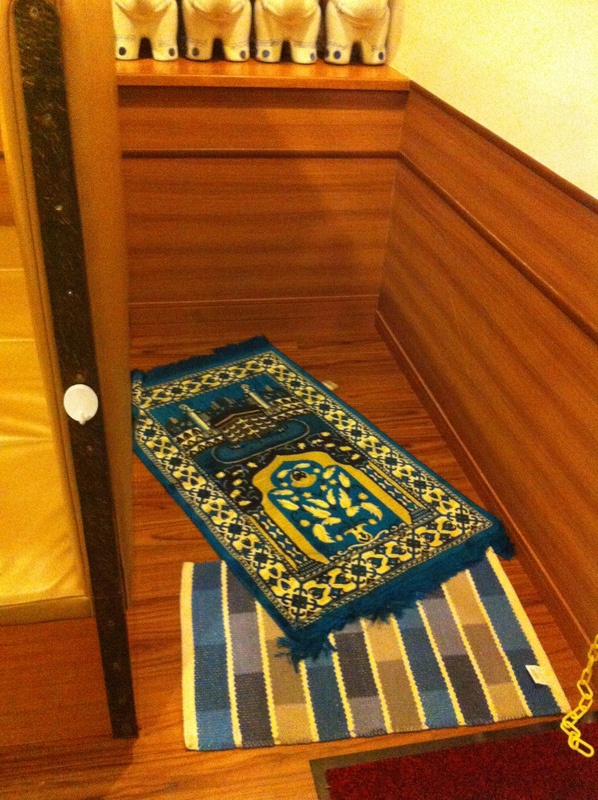 However, I know that in some places out there, there are still some difficulties for us to do our religious obligations, but I myself couldn’t thank Allah more that I never be in such condition, and hopefully won’t ever be. Amen. Ok, without further ado, here are my reviews about those restaurants. Fifteen minutes walk for me is not so close, and we also have to pass some small hills to reach this restaurant. Some of the menu. There are some more but I forgot to take the picture of them. This is the menu that I ordered that time. 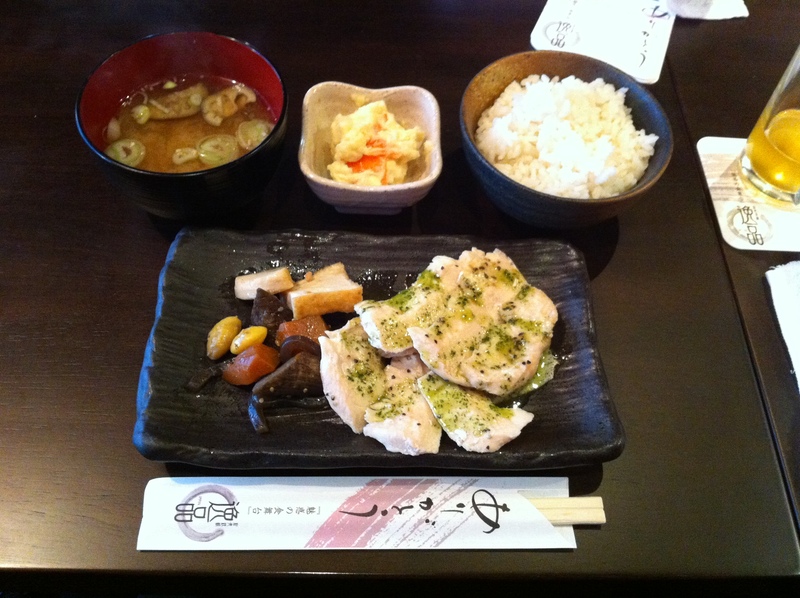 It is called Japanese Genovese style chicken shiso flavor, price 900 yen. It includes the chicken, a small bowl of rice, salad, and miso soup. The meal was actually delicious and has that authentic Japanese flavor. 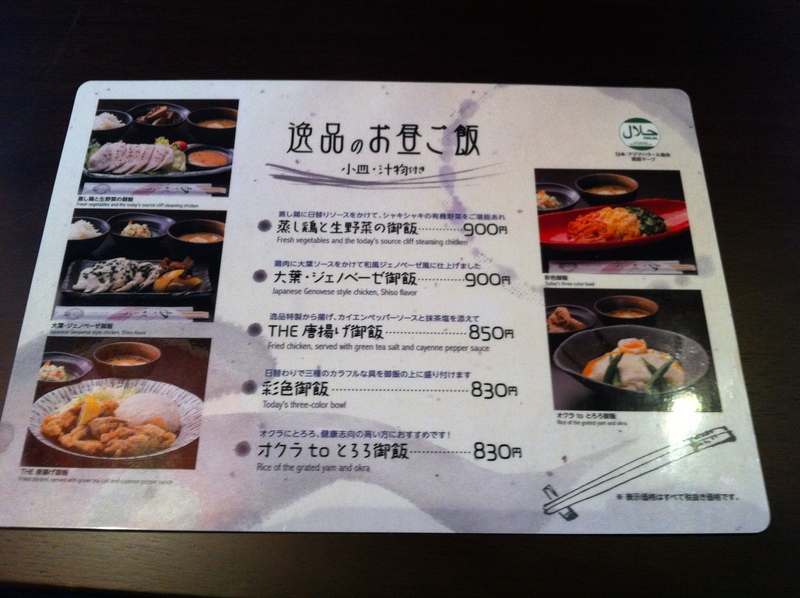 So for you who want to taste the real Japanese food and halal, this menu is recommended. However, the portion was a bit small, so I didn’t feel full enough after eating it. There are also some wagyu meet menus and they were amazingly delicious. 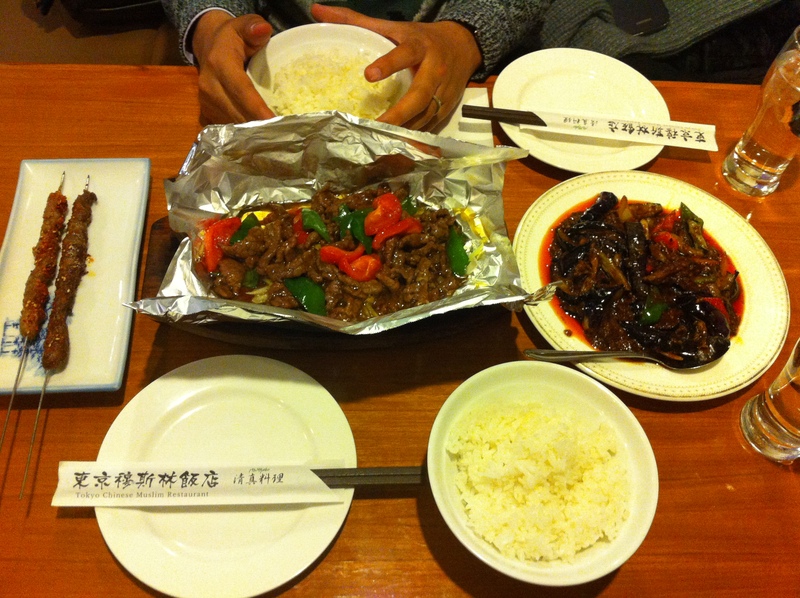 My friend ordered that, the price was over 1000 yen and the size was the same as the rice bowl of the picture above >_< I tried a teeny tiny small bite of the meat, and it did melt inside my mouth (drooling-red). My other friend ordered a chicken ramen and fortunately this time, the portion was big! I tasted it also and it was very tasty and authentic. 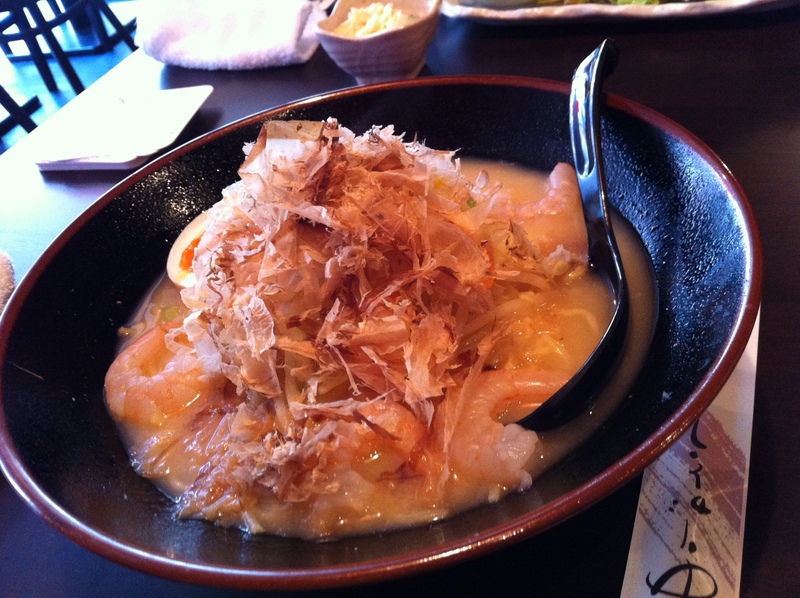 So if you are very hungry at the time you come to this restaurant, I recommend you to try the ramen. Where else we could find halal ramen, right? Good: the service is good, the waiters are nice, the foods are delicious, and the place is cozy. Not-so-good: because the location is not so close from the station, and the portions are not so big, all of us already felt hungry again after we were back to the station 😛 Even some of my friends planned to eat again at another restaurant! 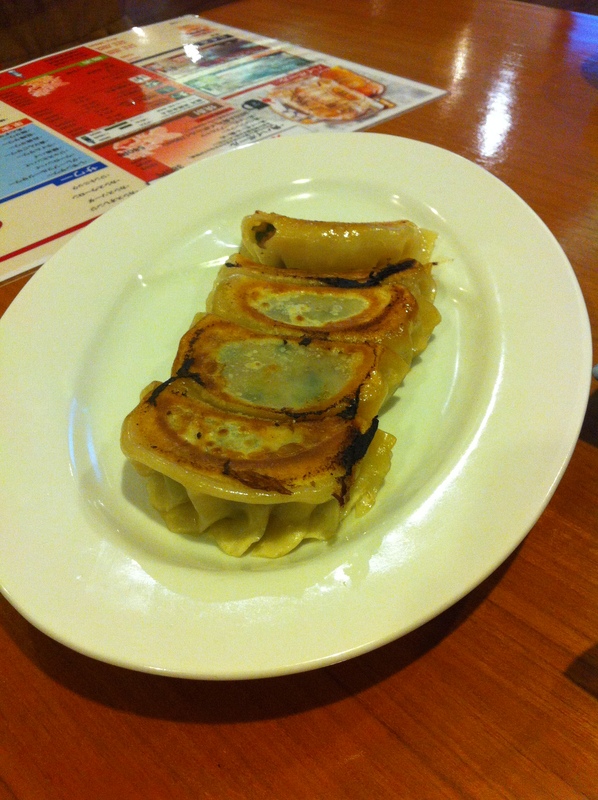 They have sooooo many variations of food you could imagine and most of them are under 1000 yen. I came here with my husband and we took so long to choose the meals. 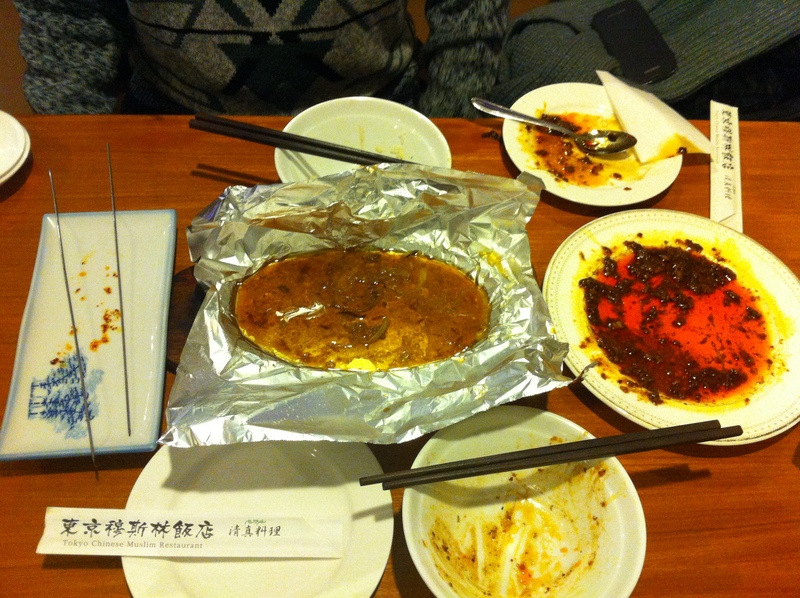 We finally decided to order a kind of chicken menu, a kind of vegetable menu (we chose stir-fried eggplant with their special sauce), a beef skewer, a lamb skewer, and aone portion of their famous vegetable dumpling. You can spot the different of their rice portion and Ippin’s rice portion, can’t you? And for all of these, we only have to pay 3000 something yen! Not-so-good: While we were there, there were only two other guests beside us, and after they finished cooking our orders, the cooks slept on one empty table (when I said slept here means literally laying their body down on the chairs), and the waitress ate on another empty table. I understand that they must be really tired, but I think this was not a very good attitude in front of customers. This is forgivable but I hope they won’t do the same things in the future. This cafe was just open on November 11th, 2014 ago. It is very easy to reach and exactly inside the crowd of Asakusa and Sensoji Temple. Just as its name, (sekai means world in Japanese), this cafe provides not very specific kind of food, so let’s say it provides international foods. 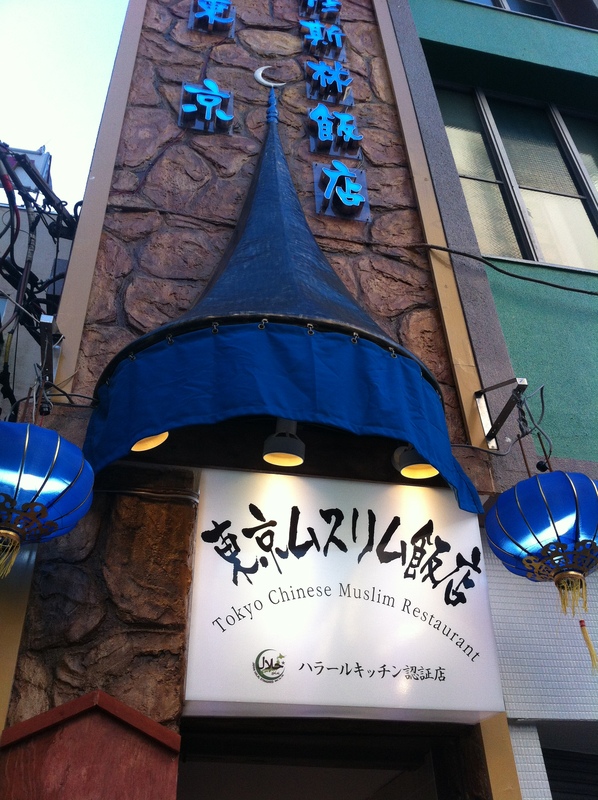 Since its location is inside the main attraction of Asakusa, adding the fact that it provides halal foods, it is understandable that the price is rather expensive for just a cafe. And unfortunately, they don’t have many variations of menu. 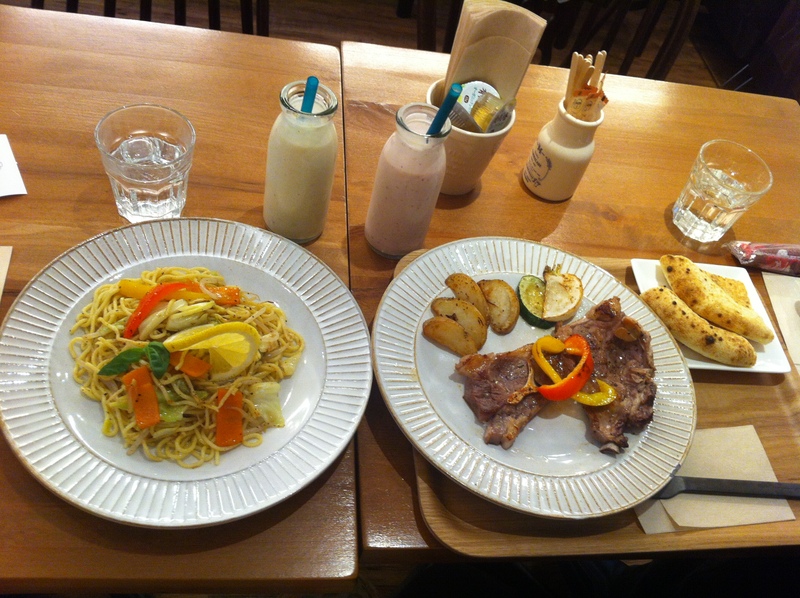 My husband and his friend ordered the grilled lamb with focaccia bread (1000 yen also). I can say that the price is acceptable since the meat portion is quite big and it didn’t smell bad as usual lamb. But acceptable here doesn’t mean that we want to order the same thing in the future (maybe). 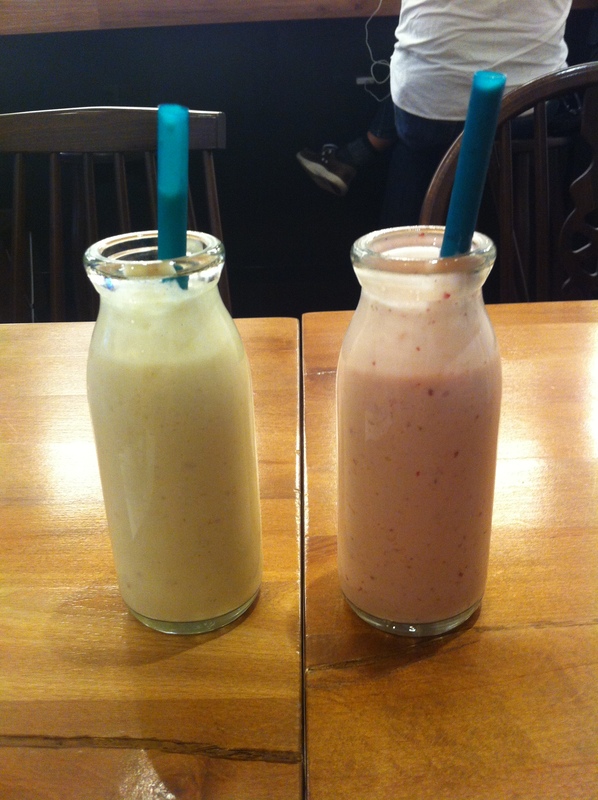 We also ordered two kinds of smoothies, strawberry and apple pie, 500 yen each, inside 200 ml glass bottle. I still feel they were pricey for that size, but I did accept it since the smoothies tasted yummy and refreshing. But again, I might don’t want to order it for the second time. Another not-so-good point of this cafe, there is no detail explanation of what’s inside every menu, and not all menu have picture of them. When I was there, there was a sign of “today’s special pizza”, and “vegetable pizza”, but when I asked the waitress what’s inside the “today’s special pizza”, she said that they only have one kind of pizza. So I find that pizza sign is confusing and they’d better not to write two kinds of pizza if they only have one kind.